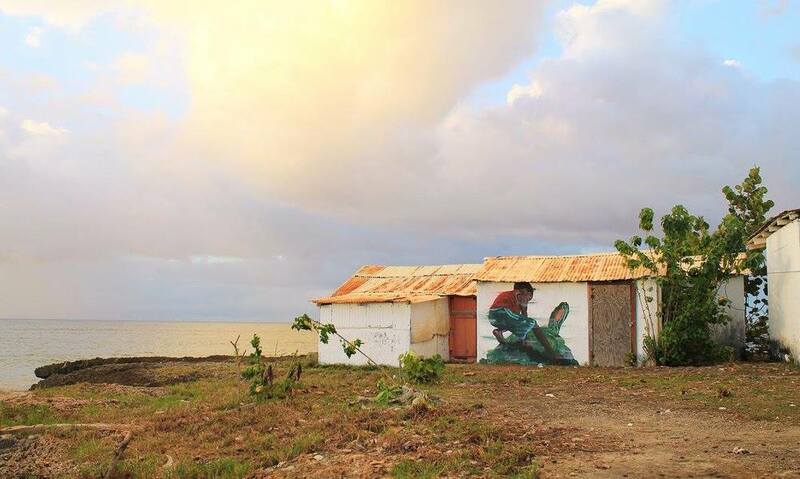 ARTESANO mural project has kicked off in the Dominican Republic. 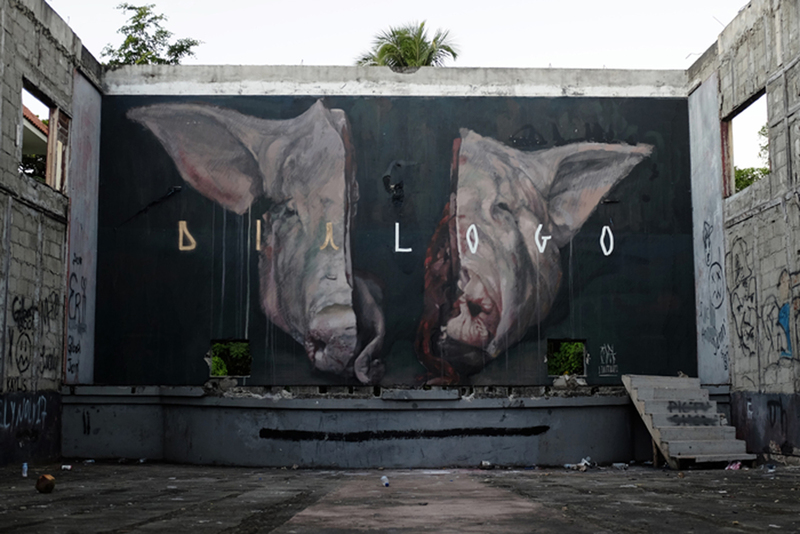 The event, hosted by Evoca1 and curated by INOPERAbLE Gallery, is happening this year in Rio San Juan. Evoca1 is the third generation of his family to give back to his community, starting with his grandfather who won the lottery and invested his winnings in the community to build jobs and sustainability. A few decades later, Evoca1 is giving back by bringing a huge lineup of international artists to the sea side village. 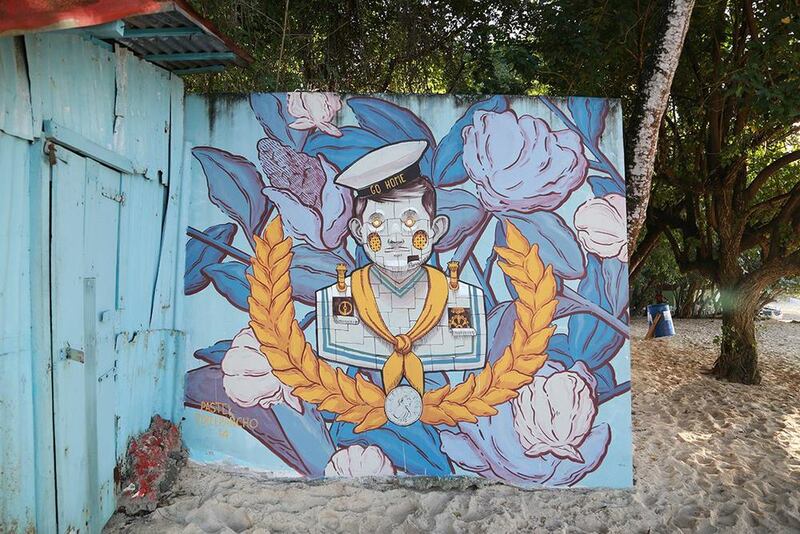 With these murals and workshops, ARTESANO hopes to inspire the local youth to explore their creative talents. Below is the official lineup of the mural festival, which was carefully comprised of artists who have become like family members to Evoca1 over the years. As well below is the inaugural wall painted by the Argentinian artist ELIAN (hidden in pic). Gully Art and Tost films will be updating the ARTESANO Facebook (link) and Instagram (link) all week with progress shots and the final murals. Stay tuned for murals coming up from JAZ, EVER, 2Alas, Pixel Pancho, Faith47+Axel Void collabo, and many many more!!! !